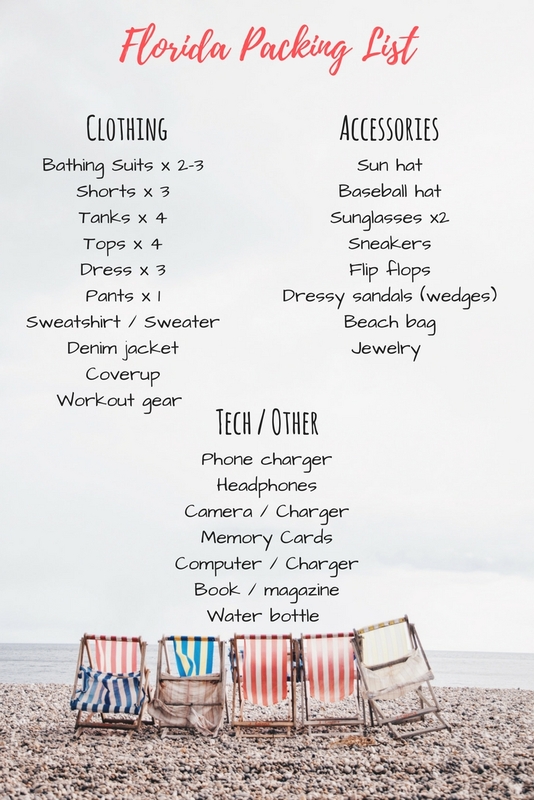 Kyle and I are headed on Vacation next week so I thought it might be helpful to share with you a little packing list of my must have items and some tips I have. Obviously this list isn’t all inclusive but it should give you an idea as to some of the items you need to pack! * Don’t stuff your suitcases with things like beach towels- every place I’ve ever stayed has had towels available! * Wait until you arrive to purchase sunscreen- I usually stop at a target or drugstore and grab some. It’s much easier than packing it and worrying about it exploding! * Carry on any beach hats so they don’t get squashed! * Bring a reusable water bottle! When you arrive to your destination pick up a few gallons of water and use those to refill your bottle. * Bring a pair of cheap flip flops that are solely for the beach! I always grab a pair from Old Navy. * Pack two pairs of sunglasses! Last vacation Kyle forgot his and ended up wearing a pair of my Ray-Bans. It's good to be prepared. Do you have any tips for travel? I'm jealous of your trip! You guys are going to have so much fun! Sounds like it's going to be a fun trip. I'm so ready for some summer weather. Enjoy your time in FL! Hopefully the weather holds out for you - we have some crazy thunderstorms this week! So jelly of your trip! I am heading to Florida next month. Ahh have a good time! I need to really start coming up with packing lists BEFORE I go on vacation instead of just winging it with the packing the night before haha! Great list! I always tend to overpack for vacations and a list might actually help me streamline. Awesome list! I ALWAYS forget to bring a baseball cap! This packing list is perfect for my upcoming trip! I’ll be visiting the beach this summer! Now I need a trip to someplace (any place!) warm. Have fun! Sounds like you've got all the essentials covered!